WASHINGTON, Dec. 13, 2018 /PRNewswire/ -- Three-fourths of people (75%) say paid search ads make it easier to find the information they search for on a website or search engine, according to a new survey from Clutch, the leading B2B research, ratings, and reviews company. Most people easily recognize paid search ads: 77% are confident in their ability to identify paid search ads such as pay-per-click (PPC) advertising. 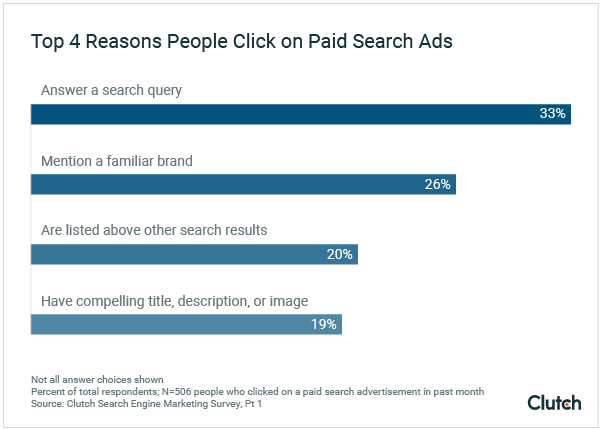 People click on paid search ads instead of organic search results if the ad answers their search query directly or mentions a familiar brand, according to new data from Clutch. WASHINGTON, DC, December 11, 2018 – More than one-third of people (37%) spend 3 hours or less online every day for leisure, according to a new consumer survey by Clutch, the leading B2B research, ratings, and reviews company. Almost two-thirds of people (62%) spend more than four hours online for leisure every day – but changing consumer attitudes towards internet use could cause this number to drop. 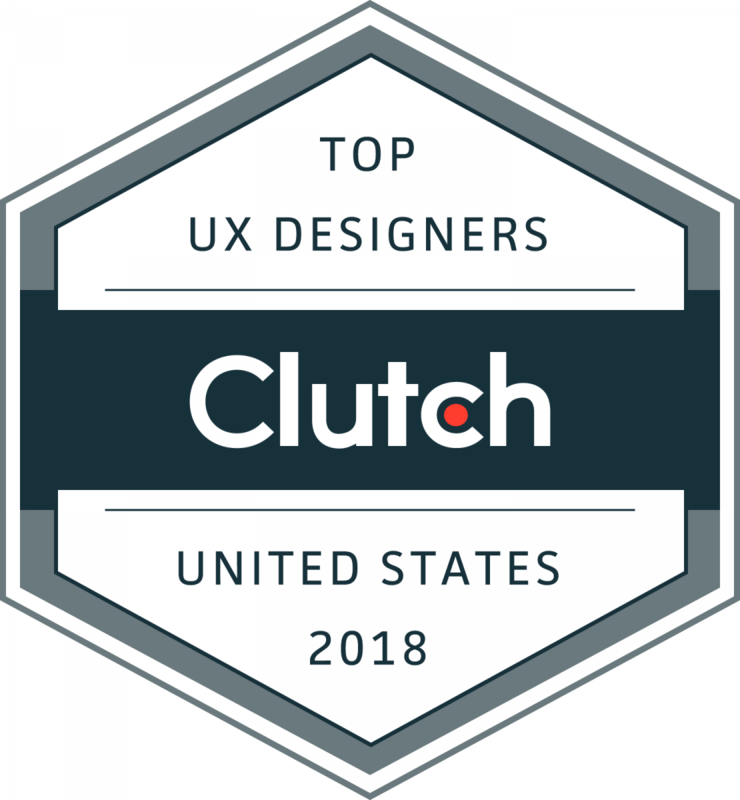 WASHINGTON, D.C, December 6, 2018 – Clutch released a list of the top UX agencies across the United States today. These agencies create captivating user experiences by working hard to understand each client’s unique market and challenges. This report recognizes 460+ companies that offer unparalleled client satisfaction and excel in their ability to deliver. Arizona: Ptype UX & Product Design Agency, VisionSnap, Inc., and SparkReaction. 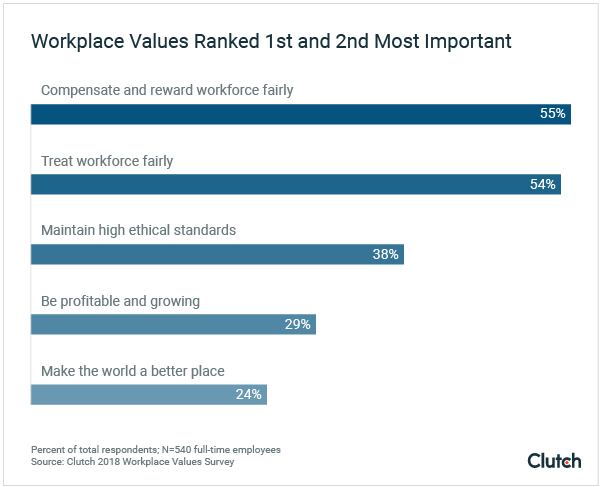 WASHINGTON, DC, December 6, 2018 – The most important workplace value for full-time employees is fair pay, according to a recent survey from Clutch, a B2B ratings and reviews firm. More than half of employees (55%) ranked “compensates me fairly” as the 1st or 2nd most important workplace attribute. Clutch surveyed 540 full-time employees to better understand which workplace attributes employees find most important. While every generation ranked fair pay as the most important attribute, generations differed in their level of emphasis. Baby boomers value whether their company compensates them fairly the most (42%), ahead of Generation X (32%) and millennials (29%). WASHINGTON, D.C, December 5, 2018 – Clutch unveiled a list of the leading web design agencies across the United States today. These designers are experts in the latest design techniques and work closely with clients to ensure that their websites fit their unique style and business goals. Alabama - Mighty, RSQ, SparkReaction, and Webology SEO. 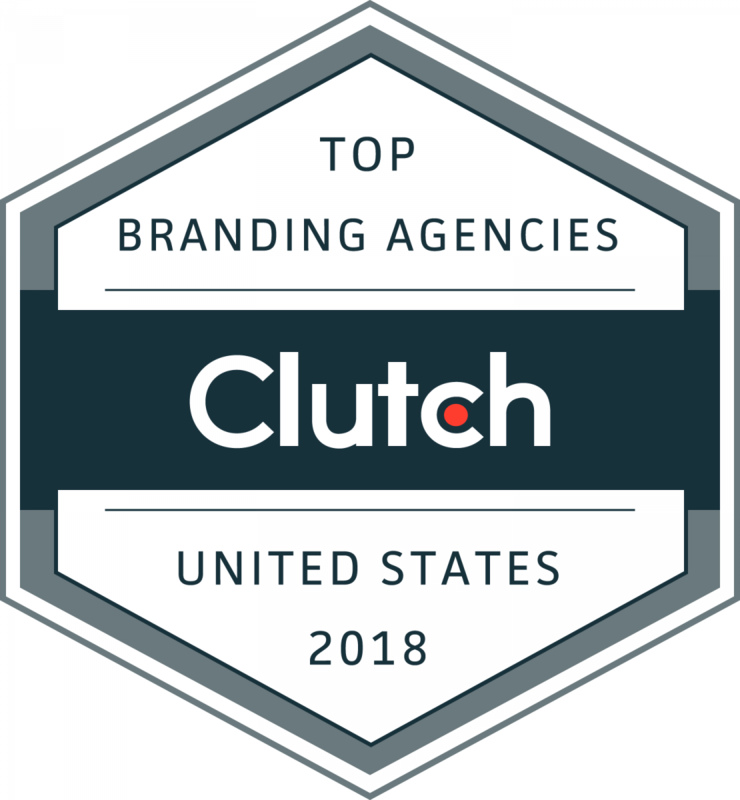 WASHINGTON, D.C, December 4, 2018 – Clutch released a list of the top branding agencies across the United States today. These service providers showcase an outstanding ability to understand their clients’ unique markets and challenges and to effectively tell their stories. Alabama - Mighty and RSQ. Arizona - 10 to 1 Public Relations, Miss Details Design, Nocturnal Branding Studio, Pure Fusion Media, and Resound. Arkansas - 3wiredesigns, Explainify, and Lofty Labs. 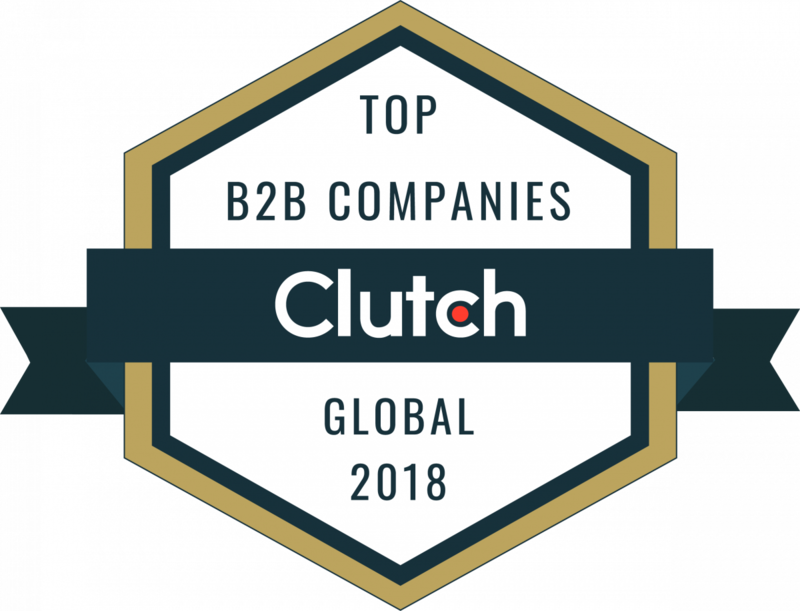 WASHINGTON, D.C, November 29, 2018 – B2B research, ratings, and reviews company Clutch announced the leading companies from around the world that demonstrate excellence in IT and business services. The annual report recognizes 250+ B2B service providers across multiple categories: IT outsourcing, business process outsourcing, IT services, accounting, staff augmentation, transcription, translation, voice services/call centers, answering services, cybersecurity, and system integration, as well as business, CRM, cloud, human resources, ERP, ECM, and big data consultants. 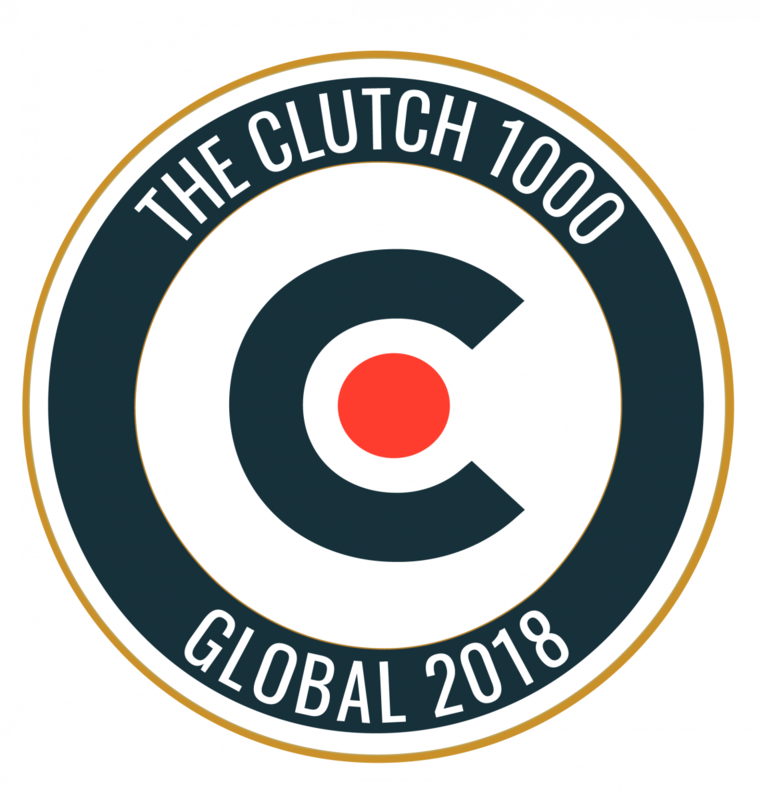 WASHINGTON, D.C, November 28, 2018 – Leading B2B ratings and reviews platform Clutch announced the top development companies from around the world. The annual report recognizes 200+ B2B service providers across multiple categories: mobile app developers (Android, iOS) and web and software developers (React Native, .NET, PHP, Ruby on Rails, AngularJS, Magento, Shopify, WordPress, Drupal, AR/VR, Artificial Intelligence, Internet of Things, Blockchain, chatbots). WASHINGTON, DC, November 28, 2018—The national burden of student debt is sparking interest in employer-sponsored benefits that offer relief. Nearly one-third of job seekers (31%) encounter companies offering student loan repayment benefits (SLRPs) during their search, according to a new survey from Clutch, a B2B ratings and reviews firm. As of November 2018, Americans have accumulated $1.4 trillion in student debt, with the average borrower owing $37,172. High monthly student loan payments can leave employees unable to contribute to other benefits, like their 401(k).